Vivid and delicate light effect is always an urge in the blood of people who like DIY. 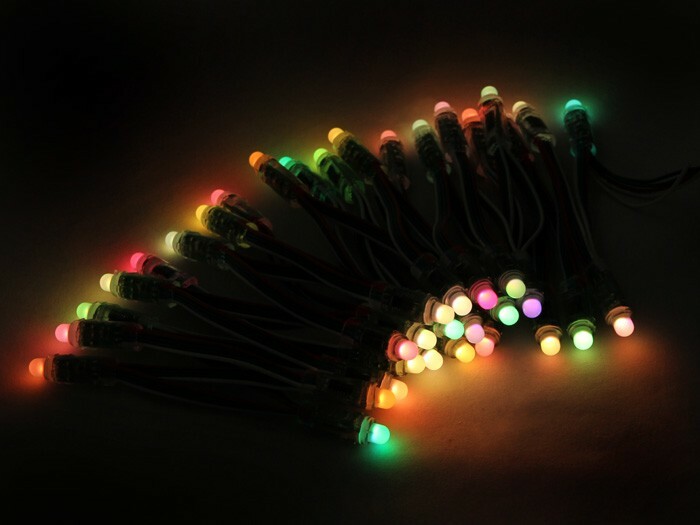 If you are one of them, this chainable RGB LED is definitely a perfect material for you, because its not only chainable but also addressable! Each RGB is armed with a LPD6803 LED driver, and is capable of displaying up to 32768 colors. By daisy chaining them up, you just need two pins of your microcontroller to get the maximum of 2048 LEDs under your total control! How to do it? We provide a code for your quick start in the Resources part. 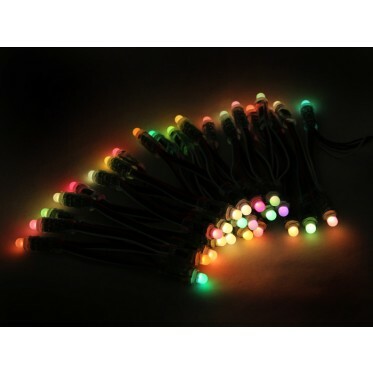 This product comes in 40 LEDs per unit, prepared for great LED matrix projects. They can be simply added to make longer chain or cut down into shorter segments according to your needs.